Ana Nunez is the Executive Director of the Niño de la Caridad Foundation. 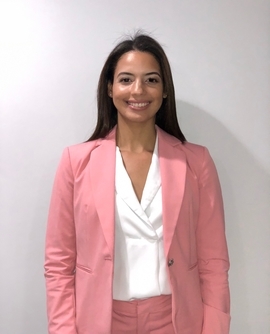 Ana is a graduate from Ramapo College of New Jersey, with a Bachelor’s degree in Psychology and is pursuing her doctorate in Clinical Psychology. She is currently active in Suicidality research at Teachers College, Columbia University and is also specialized in ABA therapy service for our much needed autistic community. Ana Nunez is also a former swimmer and her passions are traveling around the world and dogs.